The Xiaomi Yeelight E27 Colour LED Smart Lightbulb features a professional optical structure combined with high-quality LEDs, creating a stable light source without any flicker that provides your eyes with the greatest protection possible. Intelligent colour scanning technology can pick up the colours from a photo and filter them through your light. When hosting guests, a slightly dimmer, warmer light can create a relaxing environment that allows for more fluid and natural interaction between friends. 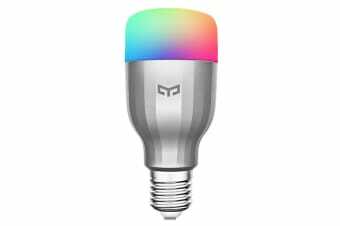 Yeelight’s adjustable colour temperatures and brightness levels always give you exactly the lighting you want. 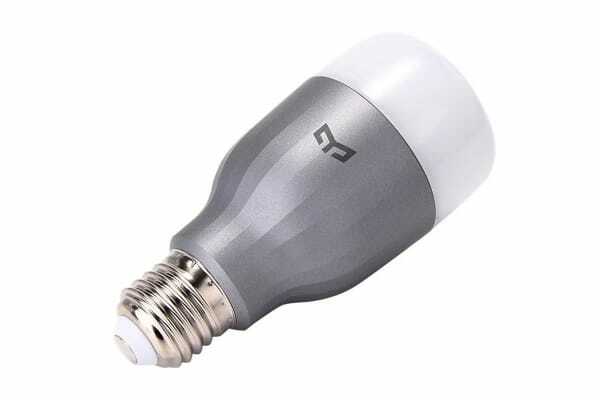 Wi-Fi enabled and integrated with Xiaomi Smart Sensors, you can connect to your bulbs without any gateway and control them with a single touch of your phone. Turn off the light for your kids without making any noise, dim the lights without getting out of bed, switch off automatically when leaving home, it’s all about simplifying your life. If you want to control multiple lights at the same time to create a little bit of surprise or a little bit of romance, the group control function allows you to easily control multiple light bulbs at once.